During times of sadness and grief, we look for ways to express sympathy and admiration for the ones we care about and love. Flowers make for a thoughtful expression as they signify peace, harmony and purity to those going through a difficult stage in their lives. 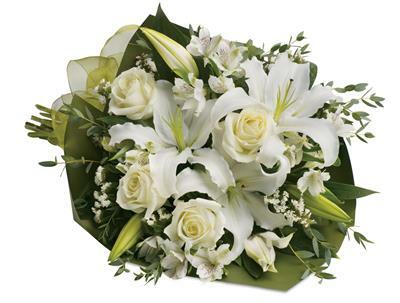 Rays Florist And Gifts can design arrangements, sheafs and tributes to extend your most heartfelt wishes to those you love in #cityname or surrounding areas in New South Wales. If you have someone close to you that lives far far away, Rays Florist And Gifts can assist with making times of sadness easier for you as we also deliver nationwide.